Campaigners used a parliamentary reception to launch a national petition demanding a better deal for the one million adults with learning disabilities. Launching the petition calling on the NHS to act, David Scott-Ralphs, Chief Executive of SeeAbility, said: “One-in-ten adults with learning disabilities will be blind or partially sighted and around half – six out of ten – won’t have had a sight test in the recommended period. At the event, hosted by Lord Holmes of Richmond MBE and sponsored by SeeAbility and the Optical Confederation, MPs and peers heard personal testimonies from people with learning disabilities explaining the life-changing effects regular, tailored sight tests can have. 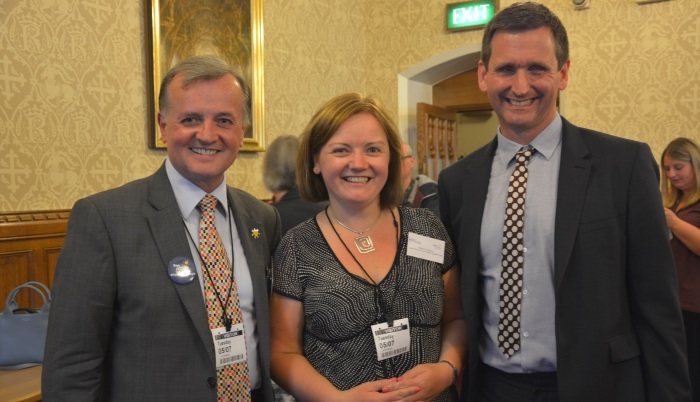 Lending his support to the campaign, the Minister for Disabled People, Justin Tomlinson MP, recognised that uncorrected visual problems were an often overlooked barrier to people with learning disabilities meaning they could miss out on meaningful employment. More than 20 MPs and peers, including Alistair Burt, were among the delegates at the reception on July 5 where the petition was launched. For more information and sign the petition.